A new school year is upon us, and I’m here to help you make it a very musical one. As a Classical Education music teacher, I am in the business of training the affections – teaching children to love that which is good, true, and beautiful from the youngest of ages. It is my mission to take little hearts and shape them toward that which is truly lovely. I believe children are never too young for great music that has stood the test of time, and – in fact – it’s when they are young that you have the best chance of tilting their hearts toward the beautiful. If you resonate with this and want to make 2018-2019 your best music year yet, I am here to help you get started! Myth: Classical music is too elevated for children. Truth: Most classical music was not that elevated when it was written. Classical music is only serious now because we’ve made it serious over time. A lot of classical music was just a blip on the music radar. It was enjoyed and completely forgotten until someone found it decades (or centuries) later. For the most part, people did not take what we call “classical music” very seriously, and we shouldn’t either – especially when teaching it to our kids. It’s when we make it Oh. So. Serious. that it starts to feel separate, inaccessible, and frankly – not that much fun. Your first step to your best music year ever is to simply decide to have fun with your music appreciation studies. Somewhere along the way, the modern educational system labeled music an elective. When exactly did we decide handwriting is more important than a concerto? Or that diagramming sentences trumps absorbing a great symphony? When did we set aside studying history’s best musical expressions in favor of algebra equations? I believe anything that has lasted for hundreds of years is worth a bit of attention. Let’s prioritize teaching our children about great works that have stood the test of time. Teaching our kids that we are all part of a larger cultural picture also helps them understand their place in God’s unfolding history of truth and beauty. Studying a great master establishes humility in a child’s life. We want our kids to understand God’s story is not only what is happening in their lives today. 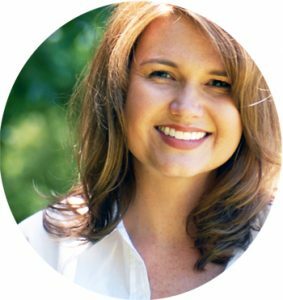 God’s story is one of an advancement of truth and beauty – and we get to be a part of it. Developing eyes and ears for how beauty has been expressed throughout history reminds us of this truth. I promise there are more tactical tips coming, but embracing the why behind what we are doing is a crucial part of embedding music studies in your home in a powerful way. It’s hard to find a math lesson that can work for all ages, but I promise it’s doable for music. Music can be like literature…just like how the same story can appeal to children on different levels, music can be absorbed at different levels. Allow your music appreciation lessons to be a place where your whole family can gather around the table, sharing the joy of a great piece of music. You might feel like a fish-out-of-water at first trying to teach your children about classical music. This resistance might lead you to act like it’s Really Very Important. Warning: kids have a sixth sense when they suspect you are forcing something on them that you don’t really think is that fun either. Kind of like if you hate broccoli, and you fix your child a plate of broccoli and serve him with a strained smile, proclaiming, it’s delicious! Really! They’ll see right through it. The reality is, most of us are products of modern education, when classical music was not high on the priority list. You probably didn’t grow up learning about classical music yourself. And you might not be that interested in it now. It’s okay. You actually might only be reading this because you want to ensure your kids don’t end up the same way. Remind yourself this is fun, and review #1. Have fun learning about classical music alongside your kids and learn as you go. Rome wasn’t built in a day, and neither is a burning passion for classical music. It might just come over time – for you and your kids. Keep it fun and full of joy in the meantime. I have two posts that might help as you are getting started. The Normal Person’s Guide to Classical Music Terminology (Part 1 and Part 2) takes common music terms and unpacks them in regular language to help parents who don’t have a musical background begin to teach their kids about classical music. The words might seem hard at first, but a little explanation will have you teaching your kids the difference in a symphony and a sonata in no time. If I’ve sold you on including more classical music in your home, maybe you are now realizing you can only name a handful of composers (Bach, Mozart, and Beethoven -right?). There is a deep well of music out there and I want to help you help your kids dive deep. The simplest way is to add a rotating variety of classical music in the background of your home. I have monthly playlists oriented around seasonal themes and notable times in music history. Find all the overview posts here and search user name kristihillmusic on Spotify to access all the playlists. Live performances are a great way to make music come to life for your kids. Many cities have local symphonies and any college town is probably going to have a department of music that offers performances all year long. Many symphonies even offer programs specifically designed for kids. Get out into your community and hear some live music! If possible, check out the program ahead of time and do some research on what you will hear. It will add some valuable context for your kids. If you really want to prioritize including music appreciation in your child’s education, you may want to add an official curriculum to your weekly schedule. Inevitably, music is often the subject that gets set aside in light of other subjects that feel more pressing. Choosing a curriculum and committing to completing it will ensure your kids don’t miss out on music appreciation lessons. The composer who accidentally invented an entire genre of music before he was 20 years old. Whatever curriculum you choose, choose something. And then stick with it to completion. You will be teaching your child that music is a non-negotiable part of their education. I love to harness these classical music super powers using what I call a Lay Down and Listen. My students love the opportunity to be just be quiet and rest for a minute, while I play a calming piece of music. Sometimes we forget how overloaded our kids’ little brains are, especially in this screen saturated age we live in. Give your child the gift of a quieted mind through the power of music. Head HERE for a great playlist to get you started. There are well over 1000 references to music in Scripture. Virtually every church gathering consists of music in one format or another. Music is an integral part of being a Christ-follower on earth, and music will be a part of our eternity in Heaven. Music also often matters in your last moments on earth. Nobody does algebra equations on their deathbed. But they do sing. If music is a part of our eternity, and music is meaningful in our last hours on earth, why would we not teach our kids to love and engage in music now? I see music as God’s gift to us for joy, comfort, peace, and well-being. Let’s harness this incredible tool and teach our children to love it. Let’s train their affections to love the Lord’s generous gift and teach them what matters for eternity also matters now. I hope this is helpful as you enter into a new school year! Let me know if you implement any of these tips into your plan for the year. 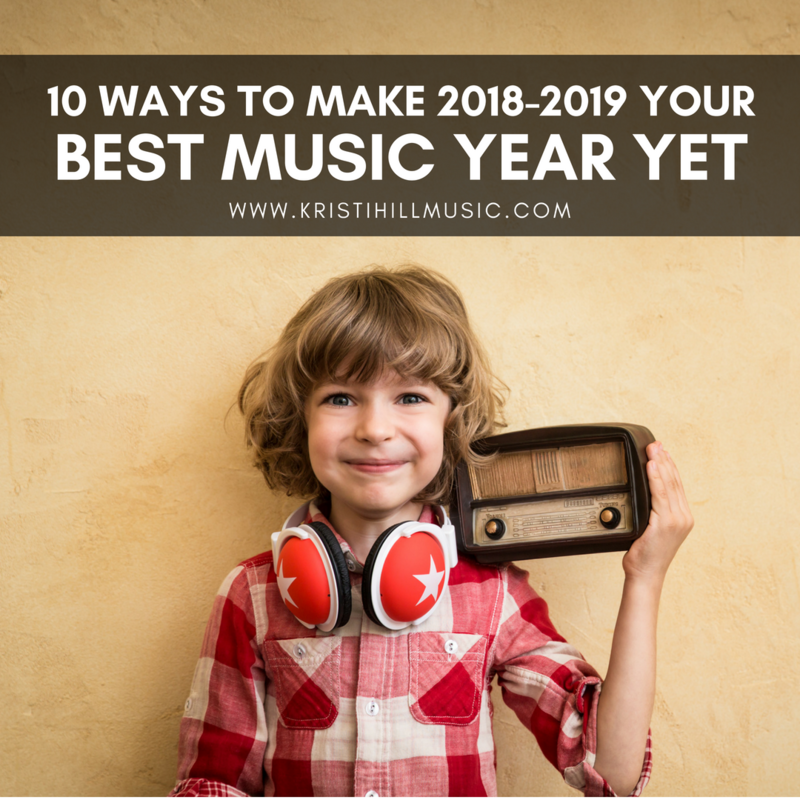 Make 2018-2019 your best music year yet, my friends!